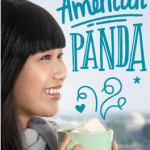 After years of living as transients to escape their bad luck, Alice and her mother Ella think they can finally settle down and have a normal life in New York. But people claiming to be “Hinterland”, characters from Alice’s grandmother’s collection of dark fairy tales, kidnap Ella. Alice and her classmate Finch travel to The Hazel Wood, her grandmother Althea’s estate, to rescue Ella and discover the truth about The Hazel Wood, The Hinterland and Alice herself. The Hazel Wood manages to create a rich fantasy world for stand-alone book. The engaging world-building style brings each setting to life, from the very authentic feel of modern-day Brooklyn to the atmospheric and creepy Hazel Wood and Hinterland; all while maintaining a fast-paced plot with plenty of action. Alice’s sarcasm adds a touch of humor and irreverence to her adventure into this dark fairy tale world. 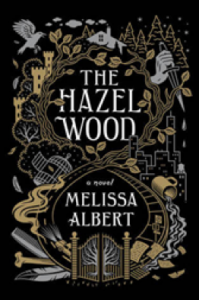 The Hazel Wood is great for any teen interested the dark origins of our own world’s fairy tales. 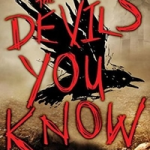 Fans of the television shows Once Upon a Time and Grimm may enjoy a new set of dark tales to examine. Readers who enjoyed Cassandra Clare’s The Mortal Instruments series and Holly Black’s Tithe will enjoy the similar writing style, without the long series commitment of the former. Emmie is back home with her dad after being arrested a testifying in court against her ex-boyfriend (and her mother’s drug dealer) Nick. After her painful past year, all she wants is to blend in, do her community service, and get her life back on track. Max can’t seem to get in control of his anger these days. Something snapped in him after the wreck that killed his girlfriend, and suddenly he feels surrounded by injustice and unable to stop himself from lashing out. Emmie isn’t sure she’s ready to commit, but Max is persistent, and when her past comes back to haunt her he may be just the person she needs. Cold Hard Truth escalates quickly, in terms of both the romance between Emmie and Max and the drama that threatens to tear them apart. The characters are well-defined and likeable despite being deeply damaged by their past experiences. Plenty of sweet, steamy moments are mixed with high-intensity action and short chapters, wrapped up with a tidy, happily-ever-after ending. 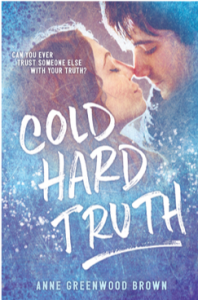 This book is comparable to titles by authors Abbi Glines and Gayle Forman, and fans of Nicola Yoon’s Everything, Everything (and the movie version) or Sara Zarr’s Gem & Dixie will also enjoy Cold Hard Truth. A graphic novel on friendship, family, and being true to yourself. Francis, a young, talented dressmaker in Paris, is frustrated by the lack of creativity her current employers allows in her dressmaking. When one of her scandalous original pieces gets public attention, Francis gets swept away by a mysterious new client who ends up being the Prince himself. Prince Sebastian and Francis soon develop a friendship full of excitement, secrets, and fabulous fashion. But when outside pressures weigh heavily on both of them, Francis and Sebastian must decide what secrets are worth keeping. 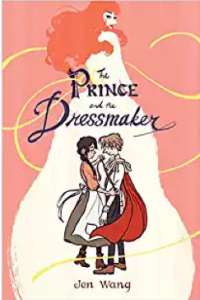 With its pastel neon color pallet The Prince and the Dressmaker is a modern fairytale that breaks gender stereotypes. This stand alone graphic novel allows the characters to discover their true selves without the limitations of specific sexuality and gender labels. Family and friendship relationships are tested with the notion that self identity may not be as black and white as we are often taught, but ultimately realized that love is love is love. This story nudges readers to open their minds to identities beyond LGBT and what it means to be the truest version of yourself. Pair with Molly Ostertag’s graphic novel The Witch Boy, and The Gentleman’s Guide to Vice and Virtue by Mackenzi Lee.